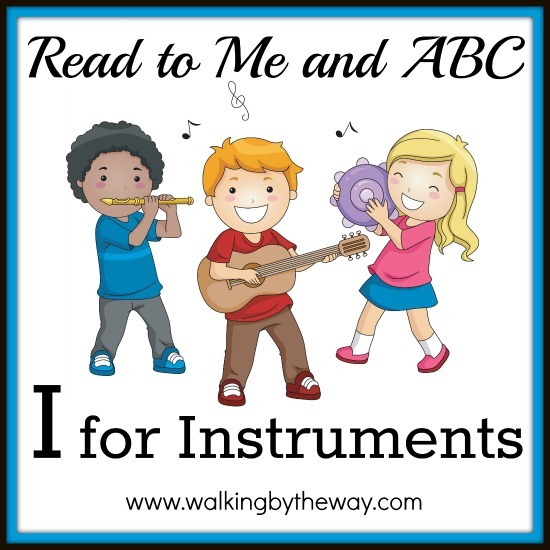 If you are new to Read to Me & ABC, please start here. 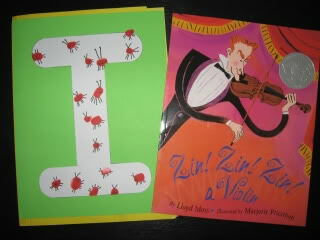 Our book of the week was Zin! Zin! Zin! A Violin by Lloyd Moss. 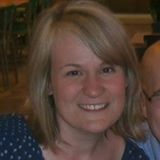 Talk about itchy insects and explain to your preschooler what you are going to do. Let him stamp his thumb in the ink and on to the I. Once he is finished, use the black marker to add legs (six!) to each insect along with a face and antenna. 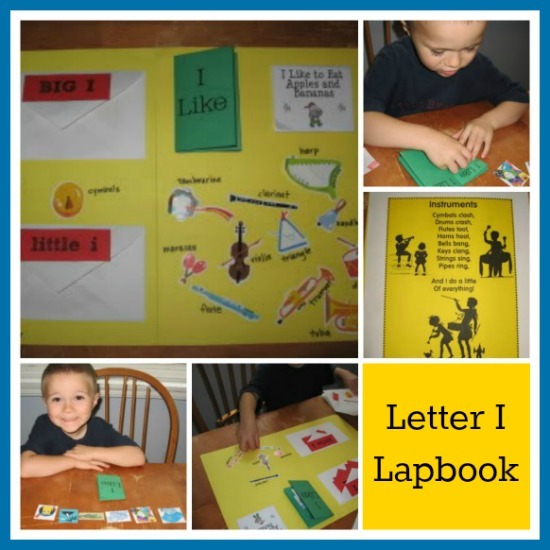 I used printables from the Alphabet Notebook from Homeschool Share. Simon also added an entire little book of Dover Musical Instrument Stickers. You need five bells, a needle, thread, and an old glove for this project. You simply sew one bell on each finger. This was something I made for Simon. He wanted to be involved, but there wasn't much he could do other than get the five bells out of the bag for me. This is a makeshift maraca. 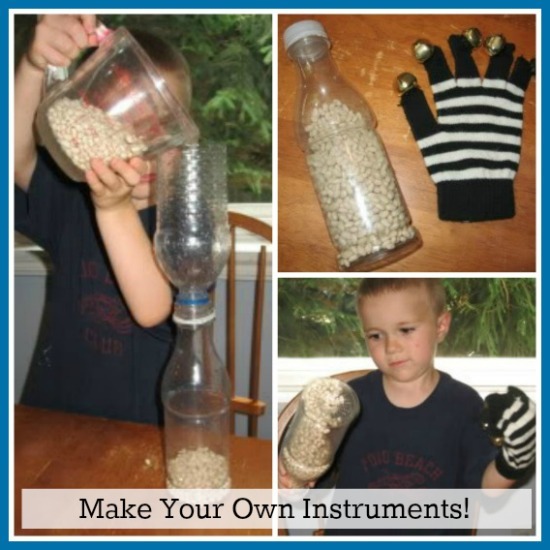 You just add beans to an old water bottle. You probably want to add glue around the edges of the bottle before adding the cap (so you don't have any accidental bean blow ups!). We also turned a coffee can into a drum, but it's not pictured.